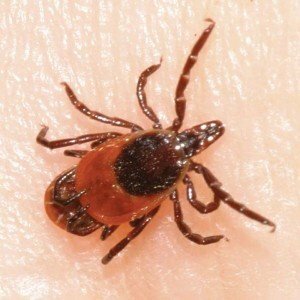 Babesiosis is one of the numerous tick-borne health problems that can be quite enfeebling for certain individuals. Know all about the symptoms, prevention and treatment options of this disorder. It is a parasitic disease that resembles malaria and is caused by the protozoal piroplasm genus named Babesia. This infectious condition of the red blood cells is transmitted when a person gets bitten by a tick. It can occur both in humans as well as in dogs and cattle animals. The Babesia parasites are the second most frequent blood parasites affecting mammals after the protozoan parasites named Trypanosomes. The condition is most commonly caused by the Babesia species called Babesia microti. The Babesia duncani species have also been reported to lead to this disorder. The tick species that transmits Lyme disease, I. scapularis, is generally responsible for the transmission of Babesia microti parasites. The microscopic parasites Babesia microti and Babesia duncani are the main causes of the disease. These parasites infect the RBCs (red blood cells) after entering the bloodstream through a tick bite. The parasites may also get transmitted when contaminated blood is transfused into a healthy individual. A woman can pass the infection to her baby if she gets affected by the parasites at the time of pregnancy or delivery. But the congenital form of the disease is very rare. This condition remains asymptomatic in many patients. However, it can turn life-threatening in elderly patients and individuals with weak immune system (such as HIV patients) and those with no spleen. The diagnosis can be quite tricky in case of patients without any evident symptoms. In symptomatic patients, a diagnostician collects blood samples from the patient and examines them under a microscope to detect any Babesia parasites inside the RBCs. Blood smear examination is another common diagnostic test used for this purpose. However, this process cannot be used for making an accurate diagnosis unless used within the first 2 weeks of the disease. The diagnostician may have to perform multiple smears before it can confirm the presence of the parasite in the blood. Various commercial tests can be useful for making the diagnosis. However, they only work on some specific Babesia species. This exam is useful for finding out if Babesia DNA is present in the blood of patients. In this assay, thin blood smears are examined to detect the presence of ribosomal Babesia RNA in them. Regular blood test is also performed to see if the blood contains antibodies to Babesia. Sometimes, several different diagnostic procedures may be necessary for confirming the diagnosis. It is also possible that some of the tests will show a negative result, but it is not advisable to rule out the treatment due to these test results. Most cases of the infection do not require any special treatment as they resolve themselves. Symptomatic patients are generally treated with a two-drug regimen management plan. The regimen of Clindamycin and Quinine is not very effective for this treatment, leading to various complications in the patient. According to recent researches, the regimen of Atovaquone (Malarone, Mepron) and an erythromycin-type medicine such as Azithromycin, Telithromycin or Clarithromycin can be effectively used for treating the patients. Sometimes, the infection can turn life threatening and needs to be treated with exchange transfusion. This procedure involves the removal of the Babesia infected RBCs and their replacement with fresh ones. The treatment may continue for several months if patients continue to suffer from long-term infection. In these cases, the condition may lead to relapses which need prompt treatment. The prognosis is positive in most cases. However, severe cases may have comparatively poor prognoses and can result in a number of complications. Individuals who need to remain hospitalized for more than two weeks, or are kept in the ICU for more than two days, often show a poor outcome. The infection is associated with a mortality rate of around 5%. Calculating its exact incidence is difficult due to its similarities with other disorders. The Babesia infection can occur in people from all over the world, but it is believed to be more common in temperate climates. Both children and adults can develop this parasitic disease. It is a very common health problem among dogs from different regions of the world. Due to this reason, various vaccines have been developed against the Babesia species affecting dogs. Babesia canis canis infection (protozoa responsible for Babesiosis in dogs) can be prevented by a certain vaccine. However, this vaccine does not work against Babesia canis rossi. The disorder results in a number of serious symptoms in dogs and needs proper treatment. Here are some images of the ticks that transmit the infectious disorder in humans. 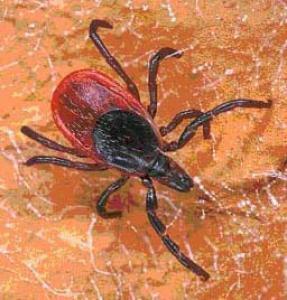 Babesiosis is a potentially fatal protozoal infection which may or may not cause symptoms. Comparatively severe cases require early treatment so that the patients can attain complete recovery. Individuals can easily prevent it by taking certain measures to avoid getting bitten by ticks.